What Will College Cost By The Time They Get There? Do your Grandchildren have a college fund? Could a Gold college fund help insure that the money you put away today will keep up with the skyrocketing cost of a college education? It seems nothing has outpaced the “normal” rate of inflation more than college tuition costs. Nov. 13 (Bloomberg) — College prices in the U.S. have again increased faster than the rate of inflation, extending a decades-long pattern of higher-education costs. Tuition and fees at private nonprofit colleges climbed 3.7 percent on average to $31,231 this academic year, according to a report today by the College Board. For in-state residents at four-year public schools, costs rose 2.9 percent to $9,139. Inflation, measured by the personal consumption expenditures index, rose 1.4 percent in the year through September. Twenty-one years ago, as I entered my senior year in college, my alma mater reached a significant milestone: the price tag passed the $20,000 mark. Today, tuition, fees, room, and board for a senior at Ithaca College are more than twice that, at about $53,000. Wouldn’t you think technological advances would DECREASE the cost of a college education? A Boss 302 Mustang in 1969 retailed at $3588, when the price of Gold was fixed at under $40/ounce. Today a Mustang GT Premium (hardly a ’69 Boss 302) retails around $41,000. Gold, even after a 35% drop from its high is still over $1100/ounce. The Mustang today is 11 times more expensive in depreciated US Dollars. Gold, however, is 27 times higher in price, even after a huge drop from the peak a few years ago! 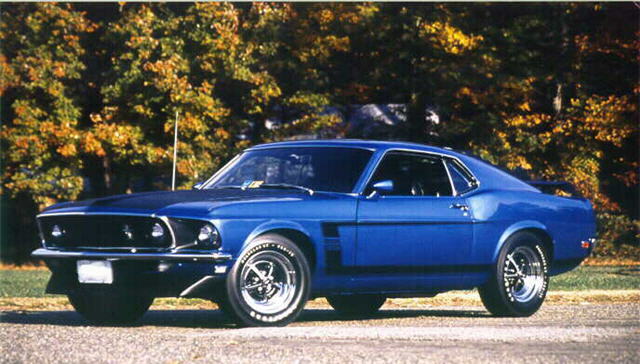 Looking at it another way, a 1969 Boss 302 required about 90 ounces of Gold to buy it. The new 2015 GT Premium “costs” only 37 ounces of Gold! Has Gold done its job retaining purchasing power better than the US Dollar? So it would seem. Can Gold do the same thing with your Grandchildren’s tuition costs? …in 2009, the cost of a year at Yale was almost the same as it was in 1932. But the rapidly falling value of the US Dollar makes prices for most things, including college, appear to be sky-high. In 1932, the cost was $1,056 for a year. In 2009, the cost was $48,622. Yet the true cost, measured in gold, was the same: around 1,585 grams. There is a simple way you can save for you Grandchildren (or other minor) using Gold or other precious metals. UTMA (Uniform Transfer to Minors Act, available in 48 states – Sorry Vermont & South Carolina) make this very easy to do, and unlike an IRA there is no cost to do so. UTMA is a provision whereby an adult can transfer wealth to minors, tax free. In most states, the minor doesn’t come into possession of the assets until the age of 21, though in some states, the minor must take possession of the assets at age 18. Check with your tax advisor to learn the UTMA regulations in your state of residence. With Hard Assets Alliance (our personal preferred vendor for buying and storing precious metals), UTMA accounts are free and easy to set up. Applying for an account takes approximately ten minutes. After providing basic account information, you can be ready to buy precious metals in about two business days. You can open an UTMA account for free and fund it when you choose with whatever amount you like. HAA’s full range of products and storage locations are available for UTMA accounts, and no minimum is required for metal purchases except when made for storage or delivery in New York*. IMPORTANT: The metal you buy at The Hard Assets Alliance is real, physical, allocated bars or coins of your choosing. You are the legal owner of the metal! Hard Assets Alliance innovative MetalStream service is available to use with your UTMA account, allowing you to contribute as little as $250 each month and take advantage of dollar cost averaging. Does Your Grandchild’s Future Depend On You? For many of us, the sad reality is that the only way our Grandchildren can expect a reasonable shot at a quality college education is if we help fund it, or, maybe fund it entirely. And, we never know if we will be around to help when the time comes. One way we can make a difference in these little treasures in our lives is by setting aside assets they can use to make a better life; and if you are like us you realize that the future of the US Dollar may look bright compared to other paper currencies out there right now, the long term trend in purchasing power – particularly for College tuition – is bleak. Gold (and Silver) have proven themselves as money for thousands of years. Their intrinsic, lasting value and physical durability our reiterated with every news story about a sunken treasure discovered after centuries on the ocean floor. * New York charges sales tax on precious metal bullion purchases under $1000 when delivered or stored in New York. The Hard Assets Alliance implemented this minimum to shelter their clients from this tax.